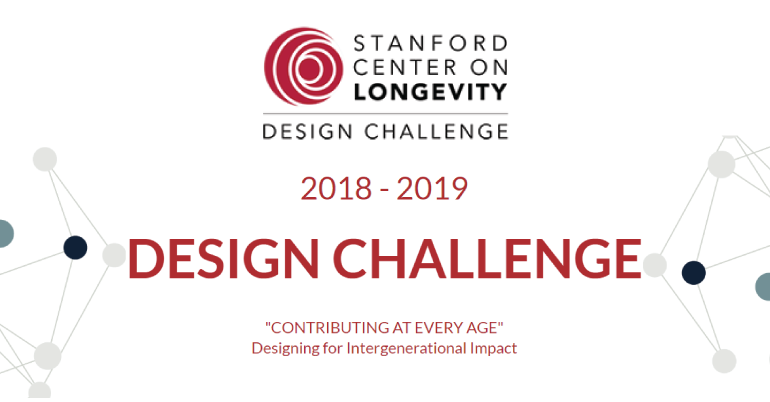 Stanford Center on Longevity is inviting university students all around the world to its 6th annual International Design Challenge. The theme for this year is Contributing at Every Age: Designing for Intergenerational Impact. Stanford Center on Longevity aims to foster innovation and accelerate social and cultural change on the issue of longevity. The competition aims to bring out designs for both products and services that will help to make our long lives more efficient. $17,000 in total will be awarded to the finalists and winners. $10,000, $5,000 and $2,000 will be given to the first, second and third place holders respectively. Finalist will be awarded $1000 for prototyping and development of presentation materials. Each team selected for the finals will receive $1,500 to $2,500 for travelling. Any intellectual property by the design team will remain theirs. The teams must have at least 2 members. At least 1 member has to be a full-time student studying in an accredited institution of higher studies anywhere in the world. The team must have an additional member who is from a different generation. There can be a total of 5 people. All the members of a group do not have to be students. But only student members of a team can present their project in the final.